A segment of New York City skyline, some 30 minutes after sunset. "My other Nikons have done beautiful work with these settings," Deb says, "so I wanted to see, right off, how this camera would handle details and low light. I set up before sunset, but was really waiting for the city lights to pop on and the city to take on a different message. The bonus was the dramatic clouds that came into the scene right around the blue hour." Z 7, NIKKOR Z 35mm f/1.8 S, 13 seconds, f/16, ISO 64, manual exposure, 3D Color Matrix metering. It's one thing to review pictures on the camera, but when you sit down and look at them on your monitor, picture quality approaches unbelievable. "This was taken a few days earlier than the horizontal skyline image, but deeper into the evening—an hour after sunset. This photo is typical of how I knew, right away, that I was getting the interpretation I wanted of the scene. The commonality of all the photos I took with the Z 7 was amazing color, right out of the camera, and incredible detail. On my monitor I can see the red sofa through the window, about a third of the way up the building left of Fifth Avenue, and the red throw pillows on the bed through the window above that. Amazing!" Z 7, NIKKOR Z 24-70mm f/4 S, 75 seconds, f/22, ISO 64, manual exposure, 3D Color Matrix metering. The form factor of the Z 7 and its lenses came up quickly when we talked with several of the photographers who were early users of the camera. Compared to their workhorse Nikon DSLRs, small(er) size and light(er) weight of Nikon's acclaimed full-frame mirrorless was important to them, but frankly there were several items higher on their key features lists. But those photographers weren't travel photographers. 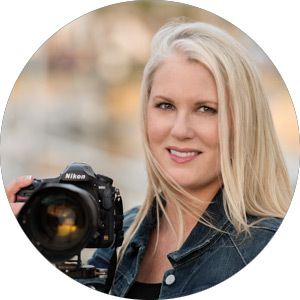 Nikon Ambassador Deborah Sandidge is, and the size and weight of the Z 7 has greater significance for her. "My main concern," she says, "from the rumor stage to the moment I started taking pictures, was image quality." She knew she'd be happy with a smaller, lighter camera, but the quality of its images had to live up to what she expected from a Nikon. It did, and then some. "Everything looked good on the LCD," she says, "but when I looked at the images on my 27-inch display, it was, Oh, my gosh, they did it. Everything—the detail, the definition, the color—was amazing." 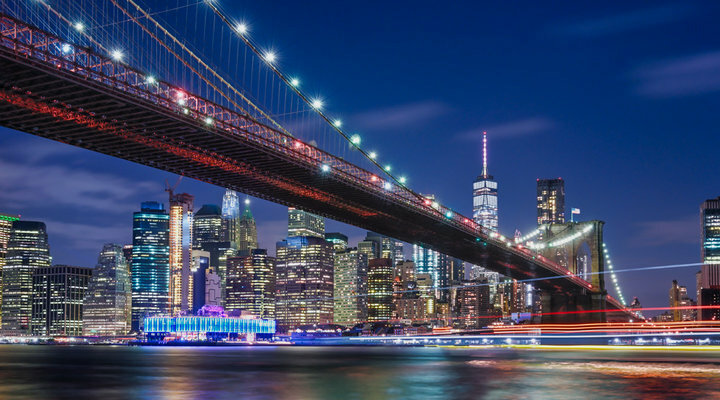 Deb crossed the East River for an iconic shot of the Brooklyn Bridge and the downtown Manhattan skyline. "It was a little past the blue hour, and all the city lights were on. After I set up it was all about waiting for the boats...and waiting...and where are they?...and waiting and...okay, here they come!" Z 7, NIKKOR Z 24-70mm f/4 S, 25 seconds, f/10, ISO 125, manual exposure, 3D Color Matrix metering. In no time at all Deb took the Z 7 on the road to locations in New York and north and south Florida. "It was not only easier to travel with, it's also a faster camera to work with," she says. "The viewfinder is sharp, bright and easy to get used to, but I was first impressed by the comfort aspect. The Nikon engineers thought it out very well—it's very comfortable to get your face right up to, so it's easy to use physically. And then you see all the information you need without having to move your head to see any content or settings; it's all right there. And of course you see the results of the changes you make, so you see the picture you're going to get." Deb also mentioned the camera's built-in VR, which is a plus for the way she shoots. While she often uses a tripod, she also likes to shoot hand held at night and in low-light situations, sometimes experimenting to see what she can get from the possibilities. "That's where I like to start, with the hero shots when the light is amazing, and the built-in VR is going to help with those." Sunrise, south Florida. "I was really grateful for this type of cloud formation—I went to this location several times, and you don't always get this kind of color," Deb says. "I like to work with about 1/20 second exposures to create a painterly, softer look to the waves coming in to shore. This was a tripod shot; I want to explore hand-holding at that shutter speed. The Z 7 is made for hand-holding because of how well it fits the hand—well, my hand anyway." Z 7, NIKKOR Z 24-70mm f/4 S, 1/20 second, f/16, ISO 100, manual exposure, 3D Color Matrix metering. Deb shot the photos here with the NIKKOR Z 35mm f/1.8 S and the NIKKOR Z 24-70mm f/4 S. "The zoom is a favorite focal length—I use my AF-S 24-70mm a lot on my DSLRs—and both the native lenses worked perfectly. I was able to do everything I'm used to doing—the long exposure and light streak photography I love to do—and the quality was outstanding. I think there's something special in the relationship of the camera and the native lenses." She's also looking forward to using the Mount Adapter FTZ with some of her favorite NIKKORs—in particular the AF-S Fisheye NIKKOR 8-15mm—"a really cool lens"—and the AF-S NIKKOR 14-24mm f/2.8G ED—"for the vast landscapes." Sunrise, north Florida. "The same idea [as the previous photo] but a different color scheme. I usually get to these locations at 4:30, 5:00 in the morning, and I bring a flashlight and figure out the right place to be the sunrise happens. The idea here was to get the look I wanted of the water falling across the rocks. Then the way the clouds formed on the left side gave me a natural framing for the composition." Z 7, NIKKOR Z 35mm f/1.8 S, 1/15 second, f/7.1, ISO 125, manual exposure, 3D Color Matrix metering. Along with upcoming travels, Deb has some image-making exploring planned. "I want to try out some camera features that hadn't first come to mind, like the camera's double exposure capability where you can place your second image where you want it, over the first image. Sounds like a lot of creative, fun options." There's also video. "Video with autofocus and hand-held with up to five stops of VR—I definitely want to try that." And there are some gear decisions to be made. "I can see getting a Z 6 for low-light and video, and as backup for the Z 7. That sounds like an ideal pair for my photography." We get the feeling the choices will be made quickly. "I've got places to go," Deb says. The full range of Deb's world photography is featured at deborahsandidge.com. Check out her blog for tips, techniques and notes on her travels and projects.